Today Pieni and uncles Jarvis and Elblin waited to be among the very first to get new avatars called Strangelings. Uncles had been waiting for a while and once they told Pie, how cute these avatars are, and sent the link to a great post by Strawberry Singh about the release today, she was sold on the idea and meeping for a teleport. While waiting in front of the store, there was time to cam around the gorgeous mesh sim. It is absolutely breath taking! One more place to go spend time in when wanting a bit of inspiration.The sim was made for a place in SL to get information about the strangelin characters in a game the same team has created. More on that in Strawberry's post. You can get a starter kit for 495 (I think) but it makes a lot of sense to get the all inclusive fatpack for just 2500L$, because it has all the options and once you try the avatar, you will be wanting to play with the look right away. Yes it is that cute! This is what Pie came up with for her first look. 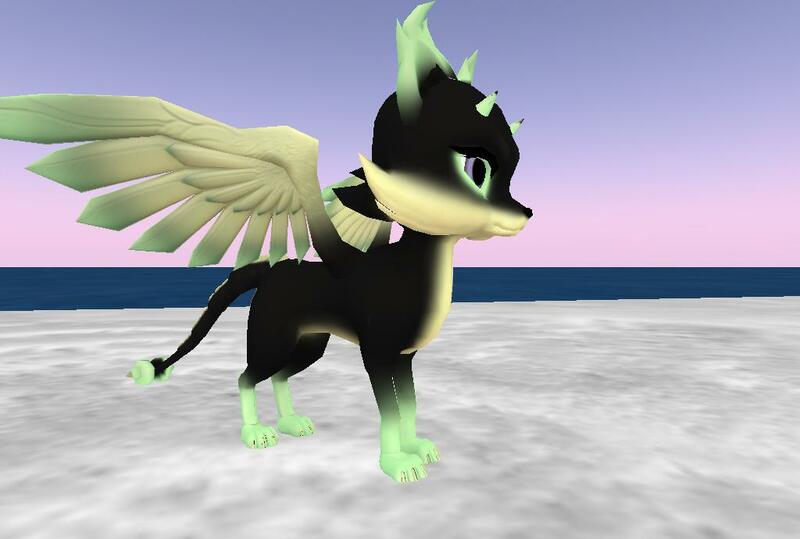 Not having tried that many mesh avatars before, this avatar is a good answer to the big question in Second life these days, "why should I get mesh avatars when all can not see them right?" First of all the quality is great and the look is just so much better. And second of all, mesh is here to stay and these days the viewers that do not have mesh are already old news, and mostly not even supported anymore. Anyone complaining about your avatar needs to just upload a better viewer. They will not be able to do much in any case with the old cranky viewers. And for those who like me only see purple goo on V3, you need to try the Firestorm viewer, it fixed that for me and has so many options that I now could not imagine SL without. Plus if you are afraid that it is too complicated to learn, you can just pick a skin that looks like your beloved viewer! So.. more options with the same comfort? Yup, believe it.